This angled adaptor can be used to elegantly work around obstacles in the system. The 45° angle and the revolvable design allow easy adjustments after the adaptor is installed. 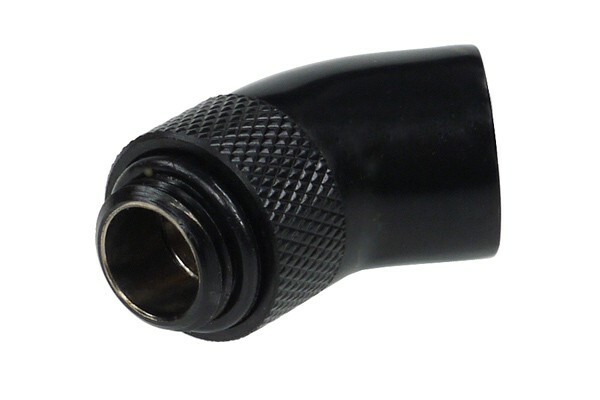 The outer thread allow connection to the cooling component and the inner thread can be used to connect the fitting of your choice.